I’d like to once again congratulate Premier Fahie and his Minister and all the other elected members of the House who have committed themselves to making the British Virgin Islands an even better place. I thank those who served in the Territory in the last Government and those who helped in ensuring a smooth election process during the recently concluded elections. I look forward to working in partnership with the Honourable Premier and his ministers as we continue to support the livelihoods and wellbeing of the people of the Virgin Islands. The Premier and I have already held a number of meetings and I have also met with the Cabinet Ministers to discuss some of the key priorities as we move forward – including priorities such as the economy, good governance, recovery security and preparedness ahead of the forthcoming hurricane season. I’ll start with my commitment to Disaster Preparedness as the Hurricane Season is only three months away. The Department of Disaster Management is working across Government to ensure that designated shelters are functioning; marine shelters are being progressed; contingency supplies are being replenished and that the early warning systems are being tested— as recent as yesterday for the Tsunami exercise and I thank persons for participating because preparedness is essential. I am pleased that the United Kingdom has been able to assist in this respect, including with the provision of back-up satellite communications, emergency generators and contingency supplies. There is still much to be done and I will continue to work with the Government to ensure that we are preparing for the upcoming season in an effective way. In terms of Security, our Government continues to work to ensure that we have a safe and secure British Virgin Islands for the people of this Territory. I want to thank all our security agencies in supporting the security of the Territory. Infrastructure repairs are progressing at our police stations, including on the Sister Islands, supported by both BVI and UK funding. I would also like to thank colleagues for the ongoing interagency co-operation between police, customs, immigration, ports, airport and others to protect our borders. I’m pleased that we have been able to secure training for our police officers in a number of areas and also welcomed a new cohort of officers late last year. We are moving forward with improving security in these islands and must continue this progress. Another priority area is Recovery and development. I know that this is important to the Premier as well. We are both conscious that public officers and people continue to live and work in difficult conditions. I am working with the Premier to continue to get the recovery plan moving apace with the Recovery and Development Agency assisting client ministries with delivering on their key priorities. Linked to this is the importance of taking the necessary steps to access recovery financing, including accessing the United Kingdom's loan guarantee which will allow the BVI to move the recovery forward at a far cheaper rate, saving many millions of dollars. The RDA is already forging ahead with implementing a number of projects on behalf of Ministries across the Territory. I want to reiterate my full commitment to seeing these Islands recover quickly and successfully and that this Territory is restored and even more resilient in the future. Another key priority area for me is Good governance. I know that the Premier is keen on promoting openness and transparency in all aspects of public life and public service as outlined in his party’s manifesto. I look forward to his Government putting the necessary legislation in place and the establishment of commissions that would hold persons accountable. I look forward to working with them on this, including on the early introduction of a new Ministerial Code. I continue to welcome this direction where there is a commitment by the Government to promote the integrity of public officials, public officers, and institutions and to transform our public service. In fact, Ministries are already working hard on transformation programmes, including in the areas of public private partnerships, greening the public service, and measures to improve efficiency for the customer’s benefit. I also look forward to working with the new elected Government on other priority areas outlined in their manifesto including economic diversification and supporting the financial services industry. On Tuesday the EU announced that BVI has taken significant positive steps to meet their requirements and so BVI has not been placed on their blacklist. It is important now that BVI takes the necessary steps to create the environment to implement the provisions of the legislation passed in December to ensure sustainable economic success. I look forward to supporting the government and industry where I can with this. Allow me to speak briefly on the UK’s Foreign Affairs Committee report. First let me say that the Foreign Affairs Committee is one of a number of Parliamentary Select Committees. Select Committees check and report on areas ranging from the work of government departments to economic affairs. The results of these inquiries are public and many require a response from the government. The Foreign Affairs Committee examines the expenditure, administration and policy of the Foreign and Commonwealth Office and its associated public bodies. I am aware of the concerns that have been expressed about the report as it raises important issues about British Overseas Territories Citizens living in the United Kingdom and British Citizens living in the territories and I am feeding those to London. The report speaks to the issue of every member of this society being valued and being able to live among each other in a fully unified and democratic society. I am encouraging persons to read the document for themselves as these are important issues that I hope will be discussed locally. However, let me be clear that these are recommendations from a House of Commons Parliamentary Committee. They do not necessarily reflect the UK government’s policy. 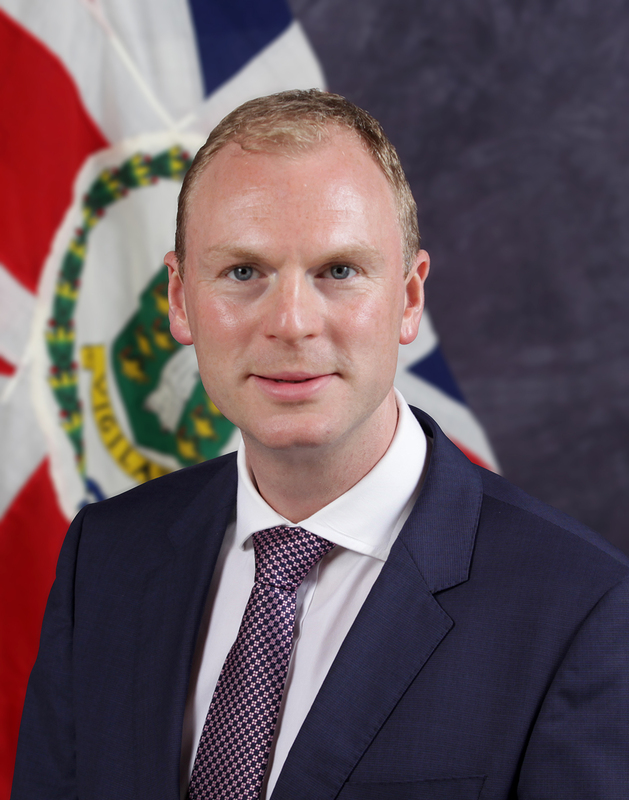 The UK Government FCO will respond to the FAC report by 21 April – two months after the publication of the report on the Overseas Territories. There is also an opportunity for the BVI to make comments as well about the report. I look forward to a strong sense of partnership to deliver for the people of the British Virgin Islands. A partnership where every partner in Government is respected, valued and plays their role to the full – the elected Government, the Governor, the public service, and the United Kingdom. I am sure that you have a number of questions on these and other issues.